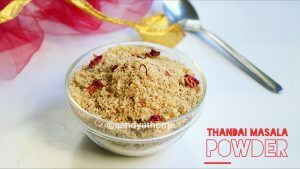 Thandai is a very flavorful, healthy, refreshing and delicious drink prepared with cold milk, sugar and thandai masala powder/ paste for Holi festival. This drink has so much goodness as it uses ingredients like almonds, pistachios, peppercorn, fennel seeds, saffron strands and many more. Sound great right? 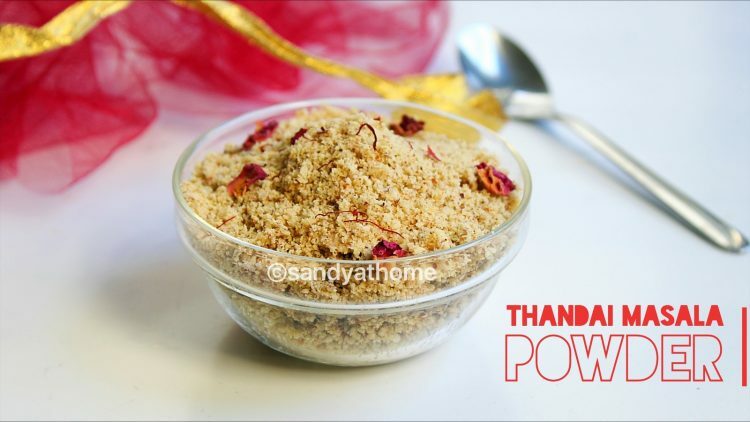 The traditional method to make this drink takes hours so I thought to share the quickest and easiest method of preparing it by adding thandai masala powder to milk which is known by many still okay to post it in the blog as it will be useful for beginners in the future. 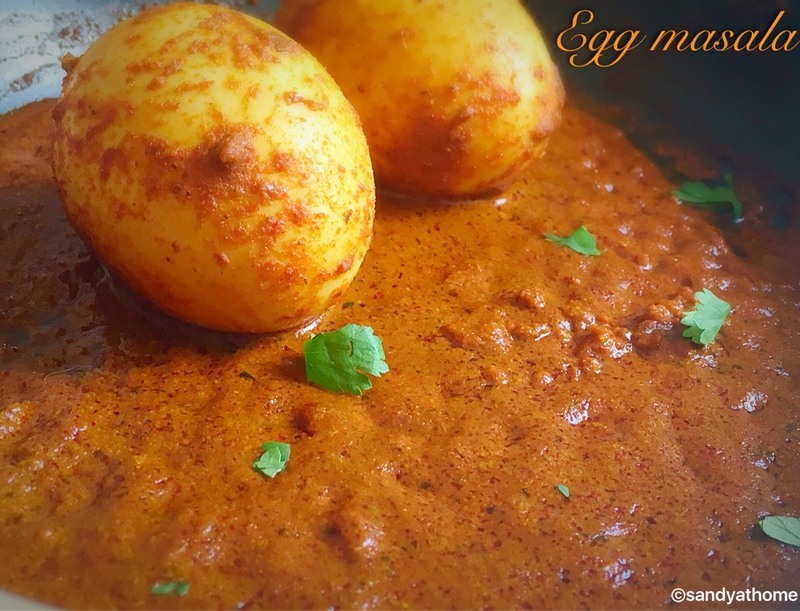 I always wanted to post this recipe bit kept postponing as I was a bit lazy, I clicked the picture weeks back but couldn’t find time to post it , then it thought better late than never so the post is finally here. 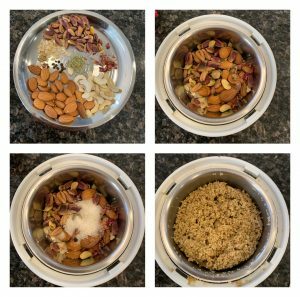 This recipe involves many ingredients the quantity of which is altered accordingly but here I mentioning quantity of all those ingredients in a way that I am used to. 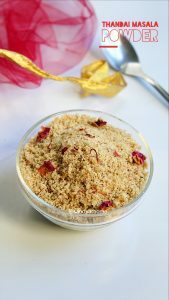 I always prepare this powder a week ahead and it stays nice and fresh in an air tight container. Also I add sugar while grinding, you can add it to the cold milk to for extra sweetness or alter the sugar quantity while grinding according to your preference. So lets get to the making! In a blender add all the above ingredients mentioned. Grind it into coarse powder. Do not grind for longer time as the oil from the nuts can change the texture of the powder. Transfer the ground masala powder to a air tight jar for use.